I’m Peter Murphy. My day job, from which I’m now retired, was in the law, as an advocate, teacher, and judge. I worked in England, the United States, and for a decade as counsel at the Yugoslavian War Crimes Tribunal in The Hague. I began writing fiction seriously more than twenty years ago, partly as an antidote to the legal writing that consumed so much of my life, but I’ve only been published in fiction in the last six years. I’ve published five legal thrillers set in Sixties and Seventies London, featuring barrister Ben Schroeder: A Higher Duty; A Matter for the Jury; And is there Honey still for Tea? ; The Heirs of Owain Glyndŵr; and Calling down the Storm. I’ve also published two political thrillers about the US presidency: Removal; and Test of Resolve. More recently, I’ve completed a volume of humorous short stories, under the title Walden of Bermondsey. My publisher is No Exit Press. My parents told me that I’d learned to write the alphabet and a few odd words before I went to school. When I was a bit older, I remember boring one or two baby-sitters by making them read short stories I’d scribbled on a page or two of paper. In other words, for whatever reason, I’ve always loved to write, and I’ve always loved language. When I became a lawyer there was ample opportunity to write, as part of my practice and also academically. 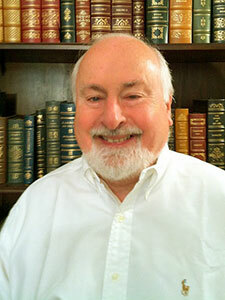 I have been widely published on legal topics. But when I was in my forties, I found that technical writing wasn’t enough. I wanted to write fiction, and I didn’t want to wait any longer. The novel was a natural form for me, because I’ve always loved to read novels, both older writers like Henry James and Sir Arthur Conan Doyle, and contemporary novelists. The first novel I completed was the first in the Ben Schroeder series, A Higher Duty. I was teaching at a law school in the United States at that time. It was by working on this novel that I learned most of what I know about writing novels. But it wasn’t the first to be published. After re-working it endlessly, as it seemed, and getting equally endless rejection letters from agents, I changed direction with Removal, a political thriller about the American presidency. When I eventually returned to England in 2007, a chance encounter with Clem Chambers (creator of the excellent Jim Evans series) led me to No Exit Press. They liked Removal. After Removal had been published, we started the Ben Schroeder series with A Higher Duty. The moral of this is: never give up, however many rejection letters you get. When I retired from the law in 2015 I was able to become a full-time writer. I’ve suddenly entered the world of literary festivals and library events – and blogs, which are something of a mystery to many of my generation, myself included. I enjoy writing just as much as ever. I’ve recently tried my hand at humorous short stories. I’ve always loved John Mortimer’s books and the great TV series starring Leo McKern. My Walden of Bermondsey is an unashamed homage to Rumpole. It is based partly on experiences I myself had as a lawyer and judge, and partly on imagining what Rumpole would have been like as a judge. 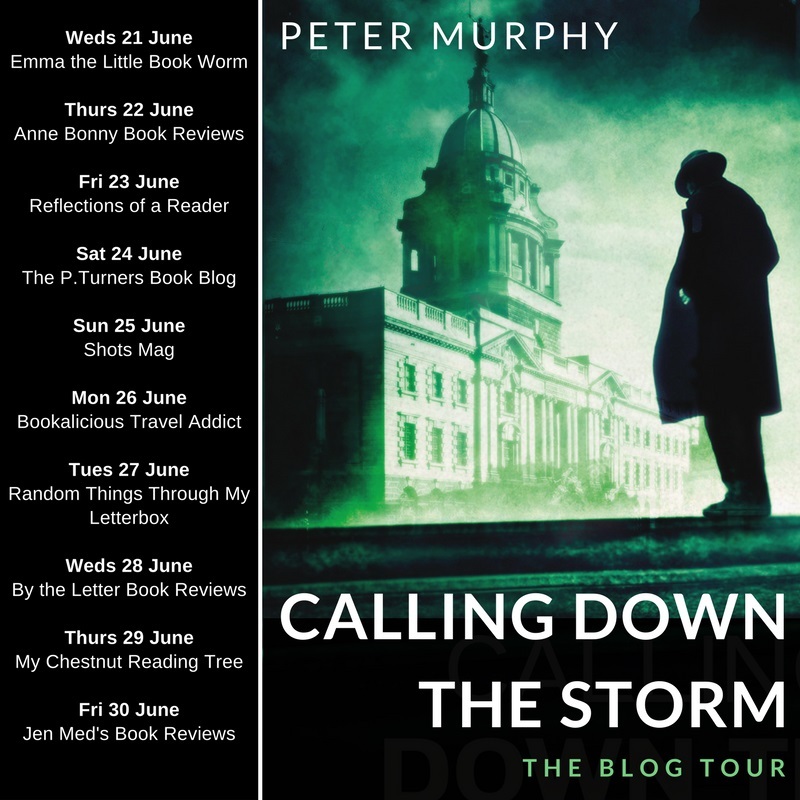 I am often asked what it takes to write a novel, and how to go about it. I’m never quite sure how to answer that question. But I have put together a few pages of notes on the subject, which anyone interested can download from the home page of my website. 3. You must do your research and prepare a detailed synopsis of the book before starting to write. 4. Then all you have to do is to sit down and write the book (harder than it sounds). If you have a good synopsis, this should be a mechanical process of writing each scene as well as you can. You shouldn’t be having ‘writer’s block’ or sitting around waiting for the ‘muse’ to descend. If you do experience this, your research or synopsis isn’t good enough. Go back and work on it again. 5. Never show your work to anyone until it’s finished. This is controversial – there are many flourishing writer’s groups bearing witness to the opposite idea. It’s just my own experience talking. With A Higher Duty, I showed the developing text to a number of people, and got so many conflicting comments and suggestions that I ended up feeling that I had to scrap what I had and start again. Others have different experiences, and I’m not saying that my way works for everyone. 6. But this is important: don’t revise the book until you’re well over half way through. If you try to revise too soon, you may have to change back again and you may upset the stability of your synopsis, and if that goes wrong, you’re back to square one. 7. Finally, don’t worry if you’re not sure how the book ends. I was at least 75% through Removal before my heroine, FBI Agent Kelly Smith, told me how she would end it. 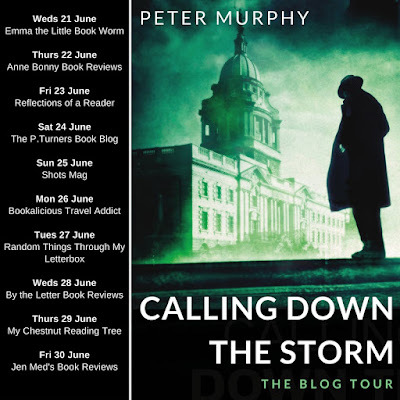 Calling Down the Storm by Peter Murphy (Published by No Exit Press) Out 29th June. 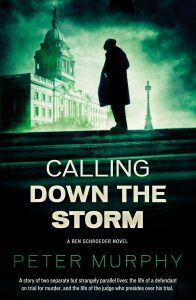 Calling Down the Storm is the story of two separate but strangely parallel lives: the life of a defendant on trial for murder, and the life of the judge who presides over his trial. April 1971. When DI Webb and DS Raymond receive an emergency call, a horrific scene awaits them. Susan Lang is lying on the ground, bleeding to death. Her husband Henry is sitting nearby, holding a large, blood-stained knife. In shock, Henry claims to have no memory of the events that led to his wife's death, leaving his barrister, Ben Schroeder, little to defend a potential charge of murder. Unknown to his strict Baptist wife, Deborah, Mr Justice Conrad Rainer has a secret life as a high-stakes gambler. In his desperation for money, he has already raided his own and Deborah's resources, and now he has crossed another line - one from which there is no return. To his horror, as the trial of Henry Lang starts, Conrad discovers a sinister connection between it and his gambling debts, one that will cause his world to unravel.